Idea itself about the "active-lego" armor is okay, however it wont become a thing for a while. That would require very complicated threat detection system, shitload of small components that would move armor modules etc... would end up being very complicated. Call me a cynic but that sounds perfect for the US MIC. Lots of R&D and way down the line, production, profits. Well, see how i look at it, money spent on R&D is never wasted. Even if you do not get the goal you intended you might use parts of that research for other things and projects, maybe even make civilian/industrial applications etc. However... this thing i am not sure about, mainly because as you said "down the line" will probably be "dooooooowwwn the line", in like 20 years. I remember in the 1980s a US Army contract regarding head wounds. They gave a US university a contract for 1 million dollars to do a series of tests... they took 200 cats and shot them in the head and then tried to keep them alive with various life support machines. The findings were that brain injury often leads to a condition where the patient can only be kept alive with life support machines. Money well spent I say. Well, see. That testing (i never heard of that one tho i must say) probably led to many improvements in life support equipment threatment. I mean, if in WW2 armies did not invest so much in battlefield poison gases we wouldnt have good antidotes today either and alot of protective equipment that we use in industry today. I mean, there is always some good return, even in horrid investments. Yeah.. that is what they say to get funding... they don't know what they might learn until the experiment is over. The problem is that the Universities don't care what they research, they just want something to research... that is what they do. I rather doubt anything they learned from either study furthered the science of keeping bodies alive.... that is fairly straightforward... the purpose was to determine recovery from traumatic brain injury and the answer was no. Actually I remember Bill Gunston talking in an article about the misuse of Top Secret status. He mentioned a missile prototype he and others were working on for the British MOD. Every test the thing flew up its ramp and then exploded. No Telemetry the whole thing was destroyed. After several exploded with no information about what was the problem the programme was quietly closed and everyone had to sign to not divulge anything... each test was eye wateringly expensive... there were no secrets to leak except how much taxpayers money was being wasted with no return. The AMPV is based on designs for the Bradley Infantry Fighting Vehicle and M109A7 Self-Propelled Howitzer. Anyone translate this into English? The US Army's Modular Active Protection System (MAPS) to protect tanks from missile fire has completed its initial integration stage, Northrop Grumman, one of the two main contractors on the program, announced in a news release. WASHINGTON (Sputnik) — The initial integration for the US Army's Modular Active Protection System (MAPS) soft-kill demonstrator was completed by Lockheed Martin, Northrop Grumman and the US Army Tank Automotive Research, Development and Engineering Center (TARDEC). The MAPS system is designed to quickly plug-and-play new technologies including radars, infra-red sensors, jammers, decoys and hard-kill shooters, according to published reports. 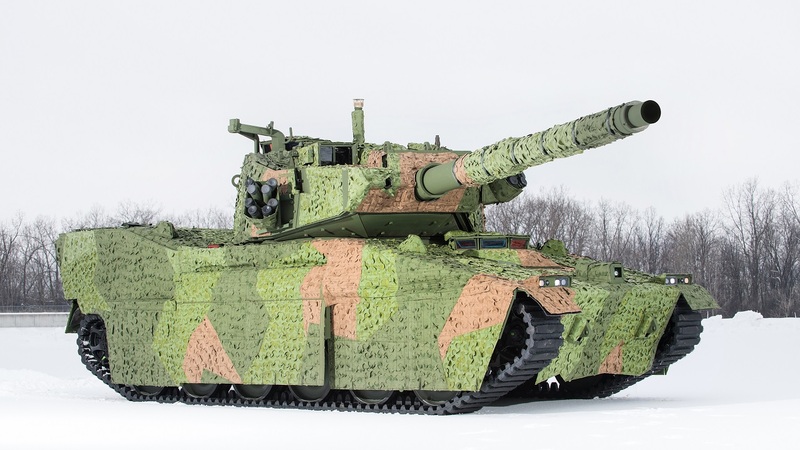 "Using Lockheed Martin's Open Architecture Processor and Northrop Grumman's sensor and countermeasure systems, the team completed initial integration in preparation for full system demonstrations on an M1 Abrams tank in 2017," the release stated. Lockheed Martin's Open Architecture Processor controls and processes information from multiple sensors and countermeasures, and drives information displays, the release added. JohninMK wrote: Anyone translate this into English? Lockheed Martin has secured a $1.6bn contract to produce additional AN/TPQ-53 counterfire radar systems for the US Army. Using the Q-53 radar system, troops in combat will be able to detect, classify, track and identify the location of enemy indirect fire in either 360° or 90° modes. The radar system can be readily adapted to provide both air surveillance and counterfire target acquisition in one tactical sensor, Lockheed stated. Lockheed Martin Q-53 radar programme director Rick Herodes said: “What’s so special about the Q-53 radar system is the inherent flexibility of its software controlled active electronically scanned array (AESA). The Q-53 radar demonstrated its multi-mission radar (MMR) capability by identifying and tracking aerial systems and transmitting that information to a command and control node. Oh deary, deary me, don't say that this was another profit over function' MIC contract. Fragile, Vulnerable and Loud: US Army Chief Says $6 Billion Battlefield Communications Network Won’t Survive Combat. On Thursday, the US Army’s chief of staff told legislators that he isn’t confident that the service’s Warfighter Information Network-Tactical (WIN-T) can withstand the hardships of battle. A part of the Army’s 2003 Future Combat Systems (FCS) effort, the service attempted to save WIN-T in 2009 after FCS was canceled. The $6 billion program led by General Dynamics Corp was put in place to create secure communication on the battlefield for mobile mounted forces. During a May 25 Senate Armed Services Committee hearing, Sen. Tom Cotton (R-AR) told Army Chief of Staff Gen. Mark Milley that he had concerns about WIN-T’s effectiveness. He said, "I have seen credible reports that WIN-T has ineffective line-of-sight communications … It is too fragile to survive in a contested environment and has an electromagnetic signature so loud that it practically would call for enemy artillery on the top of its user’s heads," according to DOD Buzz. Cotton asked the chief if he had heard similar reports, and Milley replied that he shared his concerns and that he’s leading "a rigorous, thorough and painful review of the entire communications [and] electromagnetic capability of the US Army," including WIN-T. "Frankly, my concern is these systems may or may not work in the conditions of combat that I envision in the future," he said. "t is fragile and it is vulnerable, so we are taking a very, very deep, hard, wide look." Milley said that the review should be complete in another four to six weeks, and that he had received correspondence from Congress asking to accelerate the program. "I am not going to accelerate it until I am convinced it will work in combat against the enemies of our country that may be coming in the future," Milley declared. Along with Sen. John McCain (R-AZ), Cotton said that the Army should make a decision about WIN-T’s future soon, as it has already cost $6 billion over the last decade, saying, "If the program is not working, it doesn’t seem that we should be accelerating more money into it until we can get it to work or find a replacement." Mcain called the program a "debacle" and bemoaned what he called the Army’s "disastrous acquisition record over the last two decades," according to The Hill. The Senate Armed Services Committee Chairman added, "This program — I urge my colleagues, if they don't pay any attention to anything I say today — this program has cost the taxpayer over $6 billion, and has yet to meet the requirements of our war fighters. Six billion." The Army describes WIN-T as the service’s "tactical communications network backbone that enables mission command and secure reliable voice, video and data communications anytime, anywhere. 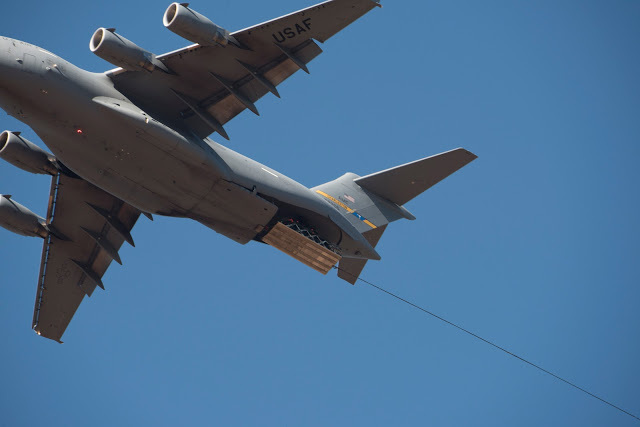 Leveraging both satellite and line-of-sight capabilities for optimum efficiency, effectiveness and operational flexibility, the WIN-T network provides the data ‘pipe’ that other communication and mission command systems need to connect into in order to operate." As the US Army reported, the soldiers of the B missile battery of the 2nd Division of the 20th Army Field Artillery Regiment began training in the use of the modernized tactical missiles Lockheed Martin ATACMS (Army TACtical Missile System), designated M57A1. In the near future, this unit will conduct military "qualification" training and testing launches of M57A1 missiles from the M142 HIMARS rocket launcher combat vehicles at the White Sands missile range (New Mexico). These "qualifying" tests should open the way for the adoption of a modernized missile into service in roughly August-October 2017 and the beginning of the supply of upgraded missiles to the troops. 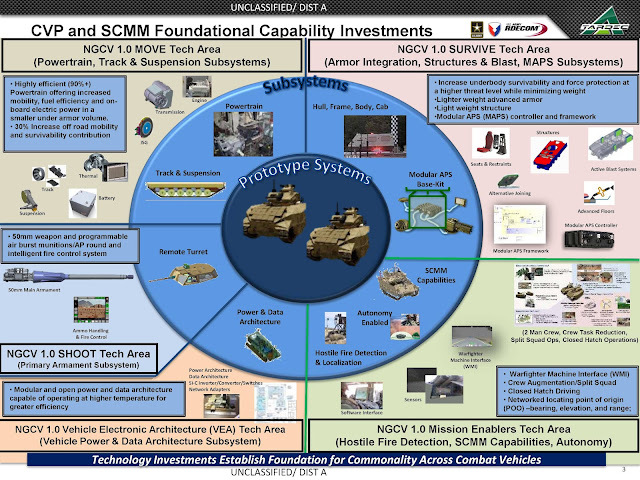 As reported by the US edition of Defense News, the US Army moved to the practical implementation of another attempt to create a prospective infantry fighting vehicle by issuing a $ 700 million contract under the Next-Generation Combat Vehicle (NGCV) program to a consortium led by SAIC Corporation to develop and build two prototype demonstrators of the NGCV 1.0 stage. Manufacture should be made by September 30, 2022, with transfer for tests in 2023. The SAIC-led concoctium also includes Lockheed Martin, Moog Inc., GS Engineering, Inc., Hodges Transportation Inc. and Roush Industries. 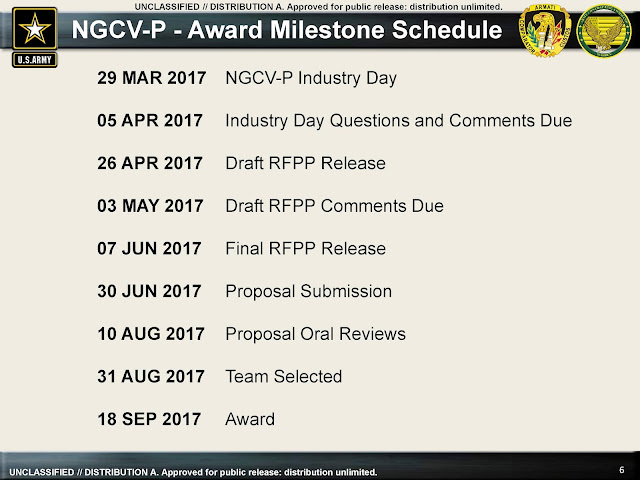 The NGCV program was launched in 2016. It is reported that the requirements of the US Army to NGCV include a crew of two people and a landing force of six. It is assumed that in accordance with the concept of "squad-centric, mounted maneuver concept", the infantry squad will thus be placed on two machines that must interact with each other. The machine should be equipped with a 50-mm automatic cannon in a uninhabited combat module and have an engine with a capacity of 1000 hp. to ensure high mobility. The basis for the protection of the machine should be a complex of active protection. 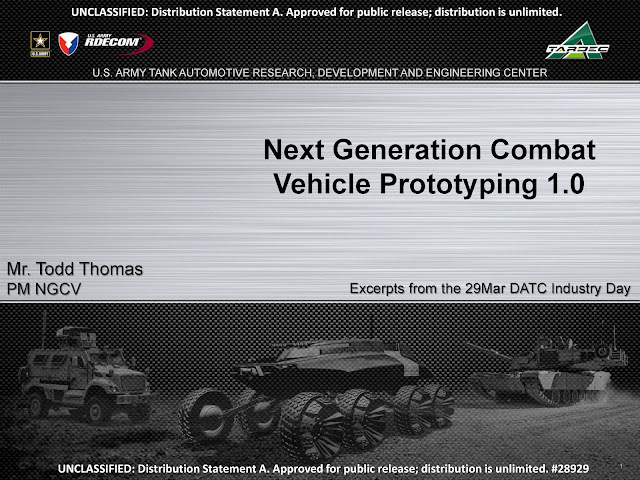 According to the NGCV work plan announced by the Tank Automotive Research, Development and Engineering Center (TARDEC) in the spring of 2107, after two years of testing prototype demonstrators of the NGCV 1.0 stage (2023-2024 fiscal years), a transition to tested prototypes of the NGCV 2.0 stage. In general, the year 2035 has been determined for the possible start of the mass production of NGCV. 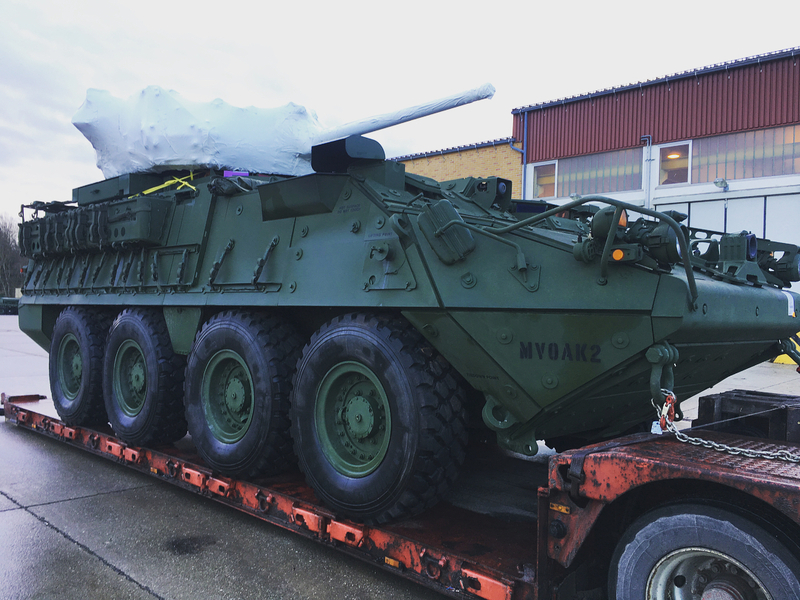 Dislocated in Europe (in Filsack, Bavaria, Germany) and the 2nd Cavalry Regiment, 2nd Dragoons, which regularly rides near Russian borders, reported on social networks that on December 8, 2017 received the first wheeled armored vehicle Stryker XM1296 Stryker ICV Dragoon (ICVD), equipped with a combat module with a 30-mm automatic cannon. The machine will be used for military tests before the beginning of the main series deliveries to the 2nd ICVD cavalry regiment, expected from May 2018. WASHINGTON — After two decades of counterinsurgency warfare, the Army is beefing up its investments in artillery, once a core part of America’s ground force. The move is part of the Pentagon’s strategic focus on near-peer adversaries Russia and China. The Association of the U.S. Army’s annual meeting this week takes place as America’s land force is engaged in a multipronged effort that includes an upgrade to the armored and fully tracked M109A6 Paladin 155mm howitzer and the development of a “strategic long-range cannon” that shoots 1,000 nautical miles (or 1,852 kilometers), Army officials say. The powerful Senate Armed Senate Armed Services Committee chairman — Sen. Jim Inhofe, R-Okla., whose state is home to the Army’s artillery school at Fort Sill — is watching. Still, the Army “is taking the right steps,” Inhofe said, praising Army Secretary Mark Esper’s testimony last month that artillery is a No. 1 priority; a cross-functional team is being dedicated to long-range precision fires — which provides a focus on the Paladin Integrated Management, or PIM, program. Beyond the triumphalist propaganda, US armed forces are carefully taking note of all those aspects where they have been surpassed, like for instance Armata and specifically the outstanding T-15 they are trying to replicate to with this development. Kind of useless since they have no need for such to defend US but at least shows they know what is going on. Woow two missiles in a pod now only one ATACMS range 500 vs 300 km ( Sputnik do error for ATACMS ) and all Bns with TELs can fired him in more rockets versatile ! Labrador wrote: Woow two missiles in a pod now only one ATACMS range 500 vs 300 km ( Sputnik do error for ATACMS ) and all Bns with TELs can fired him in more rockets versatile ! So, a less effective Iskander. According to the official web portal of the US Army (exposition), the US 82nd Airborne Division again received full-time armored vehicles when the "A" company of 4th battalion of the 68th Tank Regiment was activated in Fort Bragg (A Company, 4th Battalion, 68th Armor Regiment) as part of the 1st Brigade Division. The company received eight LAV-25A2 armored vehicles with a 8x8 wheel formula, transferred from the US Marine Corps. Thus, the 82nd Airborne Division again regularly received armored vehicles for equipment, which it lost in 1997, and began the revival of the traditions of the 4th Airborne Thunder battalion of the 68th Tank Regiment, which was part of the division from March 1968 to February 1984 and equipped with light tanks M551 Sheridan. In 1984, the battalion was reorganized into the 3rd battalion of the 73rd Tank Regiment (3rd Battalion, 73rd Armor Regiment) of the same division, but in 1997, the M551 tanks were finally removed from service. From this point on, the 82nd Airborne Division did not have full-time armored vehicles, and the 73rd Tank Regiment was re-formed into the 73rd Cavalry Regiment (73rd Cavalry Regiment), which became a purely airborne reconnaissance unit (three squadrons of the regiment were assigned as reconnaissance brigades of the 82nd division). 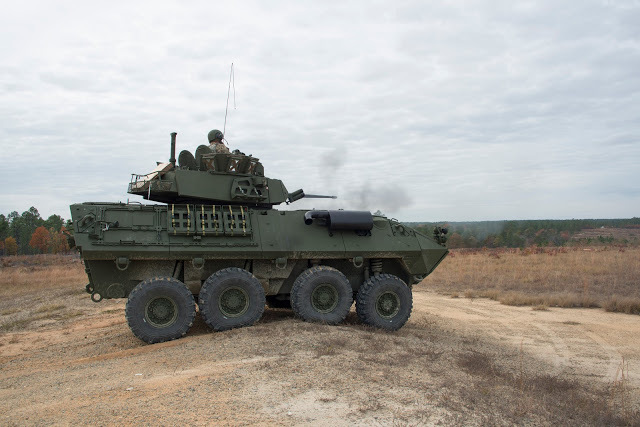 Eight armored vehicles LAV-25A2 were received by the 82nd division from the US Marine Corps in 2016, but have so far been part of the division overstock, being in the 3rd brigade of the division, where they underwent evaluation tests to study their capabilities in terms of airborne troops. 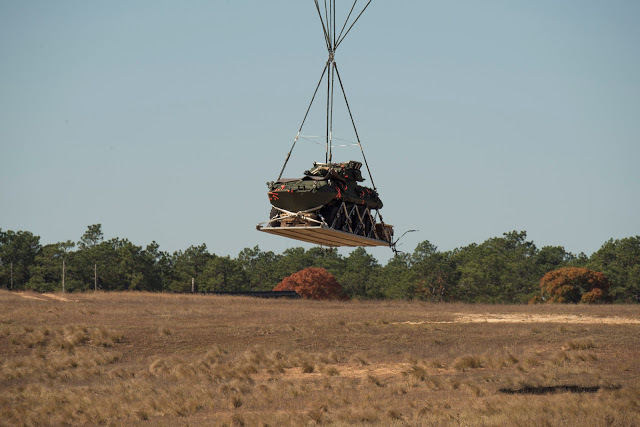 Including in the beginning of 2018, successful tests were carried out on the landing of LAV-25A2 by parachute method on parachute platforms. The appearance of the Marine LAV-25A2 vehicles was not accidental, since as early as 1990-1991, during the first campaign in the Persian Gulf, the 82nd Division received for temporary use from the marines 14 LAV-25 vehicles, which were then given a good estimate during practical combat use in the division. After this, the proposals on the introduction of armored vehicles of the LAV-25 class or the Stryker into the division were put forward by its commanders and officers more than once, but only in 2016 did they reach implementation. In this case, the Stryker BTRs were rejected because of their large mass and size, affecting the air transport. American commentators suggest that after the company "A" as part of the 1st brigade of the 82nd division, similar companies on the LAV-25A2 will be formed in two other (2nd and 3rd) brigades of the division. 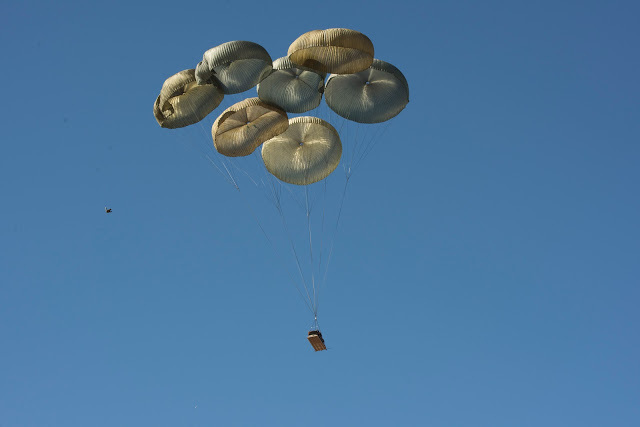 In the longer term, it appears that these activities will serve as the basis for the 82nd airborne division of aero-transportable tanks planned for adoption as part of the Mobile Protected Firepower (MPF) program now launched by the US Army. As representatives of the US Army were told on December 17, 2018, BAE Systems and General Dynamics were selected as final bidders for developing tracked combat vehicles under the Mobile Protected Firepower (MPF) program on a competitive basis to create a kind of light tank with cannon armament for the American Army. 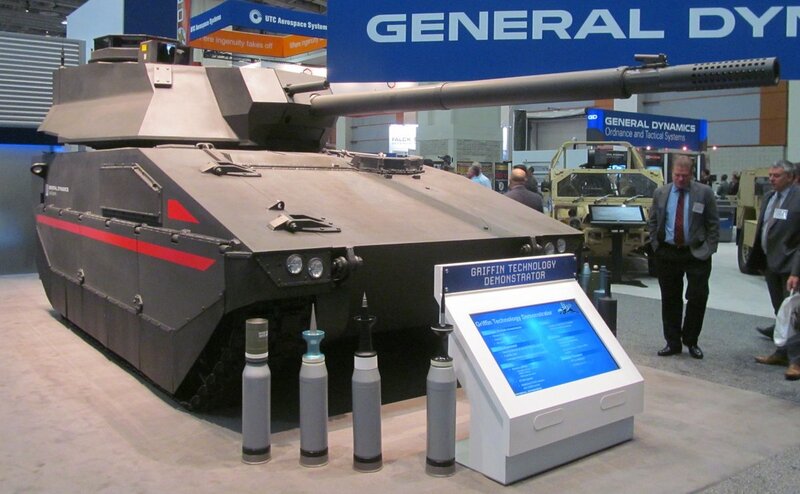 BAE Systems and General Dynamics received contracts from the US Army worth $ 375.9 and $ 335 million, respectively, each for building and supplying 12 prototypes for testing their own version of the MPF machine for the design and development phase (Engineering, Manufacturing, and Development - EMD). 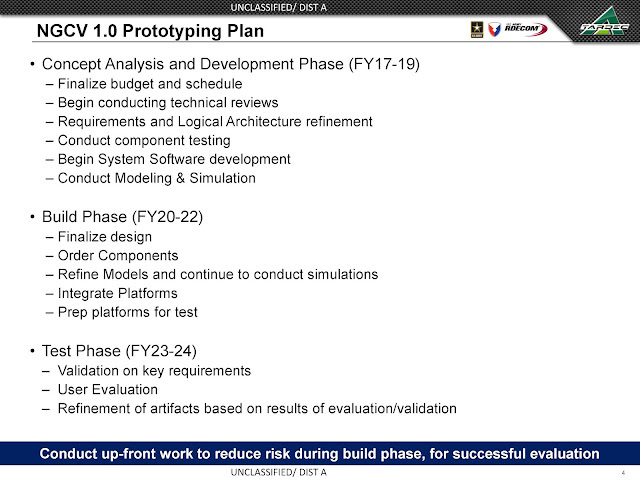 Prototype delivery should be started in 14 months and completed in 18-19 months from the date of receipt of the contract. According to the results of comparative tests of the prototypes presented, the army should make the final choice of the machine for mass production and in 2022 Finn by the end of the 2021 fiscal year. year to issue to the selected contractor an order for the first pre-production batch of 26 cars with an option for the second pre-production batch of 28 cars. Full-scale commercial production is expected from 2025 Fin. of the year. The Mobile Protected Firepower (MPF) program, launched by the US Army in 2015, provides for the creation of a tracked combat vehicle weighing no more than 32 tons, equipped with 105 or 120 mm cannon armament and an active defense complex. 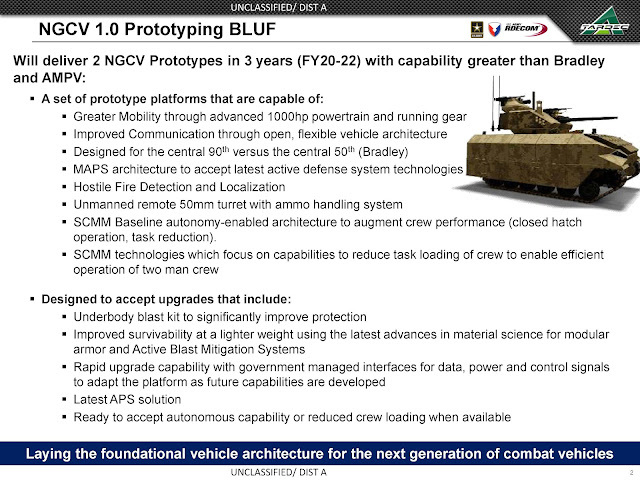 According to the plan, MPF vehicles will have a higher level of operational and tactical mobility than Abrams tanks. Under this program, BAE Systems offers the reincarnation of the famous M8 Armored Gun Systems (AGS) Buford light tank, developed by FMC (then United Defense, now as part of BAE Systems) at the turn of the 1980s and 1990s to replace the M551 Sheridan light tank, primarily in airborne units. In 1995, the M8 tank was adopted by the US Army, but in 1997, the M8 program was canceled before the start of mass production due to cuts in military spending. It was built only six samples of the M8. The lightweight tank M8 has a combat weight of 19 to 25 tons, depending on the version of the replacement protection kit, and is equipped with a 105 mm M35 gun with an automatic loader. General Dynamics proposes the Griffin II machine for MPF based on the Griffin I demonstrator prototype developed several years ago. Ajax (the developers and manufacturers of ASCOD 2 are European companies owned by General Dynamics - Spanish General Dynamics European Land Systems Santa Bárbara Sistemas and Austrian General Dynamics European Land Systems - Steyr). The total mass of the tower in Griffin I was reduced from 22 tons (for tank M1A2SEPv.2) to only 8 tons, and the total weight of Griffin I was declared to be "less than 30 tons" (according to a number of publications - 27-28 tons). The third contender in the MPF competition (and ultimately not in the final) was SAIC, which offered a vehicle based on the CMI Defense Cockeril 3105 co 105 HP gun based on the Singapore-based ST Kinetics NGAFV with the installation of the Belgian tower. The mass of the car was 29 tons. The US Army chose the Iron Fist Israeli active defense system for installation on Bradley infantry fighting vehicles. 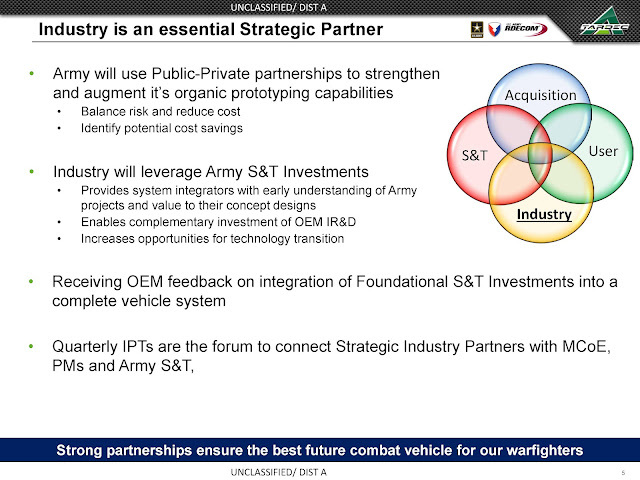 At the first stage, 140 systems will be purchased (for 138 Bradley, brigade kit) with a total value of $ 240 million. Implementation of the program should begin in fiscal year 2020, while the US Army has only 80 million for this project. This order will be the first contract for Hetz Dorban. Until now, the system was tested and integrated with various platforms (the Griffin III infantry fighting vehicle, the JLTV armored vehicle, the Challenger 2 tank and others), but there were no serial orders. And one more news of the last days. The US Army has chosen General Dynamics and BAE Systems to build prototypes of a light (up to 30 tons) airborne tank under the program MPF (Mobile Protected Firepower). The choice of the winner will be made in 2022, it is planned to purchase 504 tanks. It is highly likely that KAZ on these tanks will be Israeli: “Hetz Dorban” on BAE machines or “Meil Ruach” on GD machines. According to the Ashley Roque article "US Army Boosting Artillery Launcher Numbers," Jane's Defense Weekly magazine, the US Army intends to increase the number and combat capabilities of its rocket artillery in order to "counter Russian aggression". According to the notifications posted on December 26, 2018 on the US Federal Government Opportunities (FBO) US government procurement website, the US Army intends to issue two contracts to Lockheed Martin - one (for a period of 12 months with options for another four years) to supply an additional 343 combat vehicles The M142 of the HIMARS reactive system, and the other for the repair and upgrading of 385 available M270 / M270A1 combat vehicles of the MLRS reactive system to the level of the new modification M270A2. A notice to the US Army says that the contract for the repair and modernization of MLRS jet system combat vehicles will extend its service life until 2050. 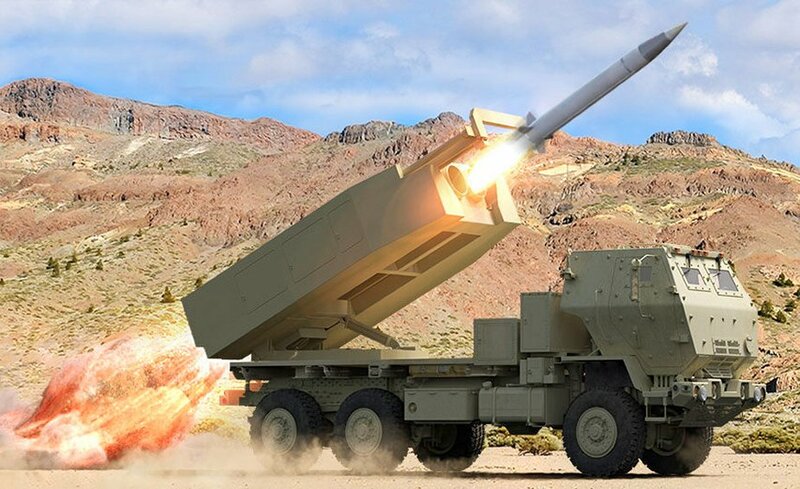 Earlier in September 2018, the United States Army issued Lockheed Martin a contract worth $ 289 million to supply the next 24 HIMARS M142 combat vehicles by July 2022. To date, the US Army has received 375 combat vehicles of the M142 HIMARS jet system (of which 363 were in service for 2018), and the US Marine Corps - 45 combat vehicles of the M142. 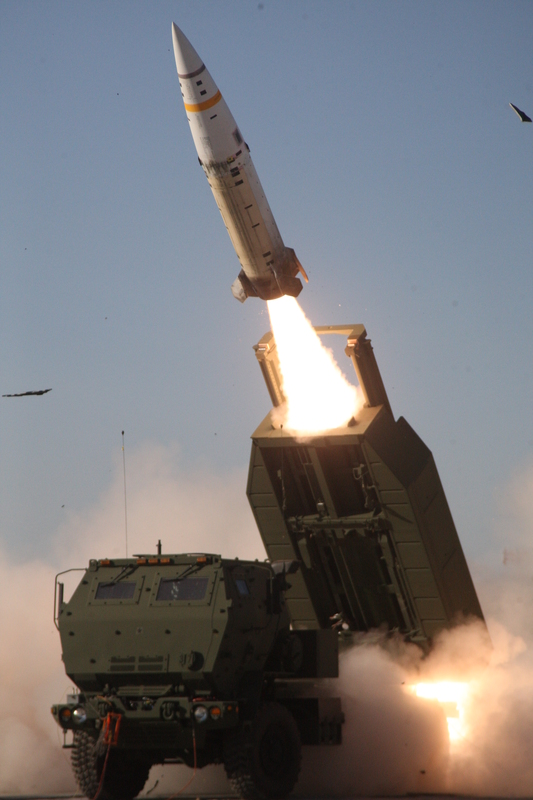 The HIMARS system uses both GMLRS adjustable rockets (range up to 70 km, GMLRS + version - up to 120 km, and ER GMLRS version under test - up to 150 km), and ATACMS tactical missiles (range nominally up to 300 km, in fact, apparently , more). It is assumed to use from the M142 installations also promising missiles with a range of up to 500 km or more. For 2018, the US Army (including reserve components) retained only 222 MLRS combat vehicles (of 225 previously upgraded) combat vehicles, so the planned repair and upgrade contract for 385 MLRS combat vehicles to M270A2 also indicates an intention to increase again MLRS systems in service (apparently, due to the restoration and modernization of M270 installations from storage). Recall that in time from 1983 to 1991, the US Army received 830 M270 combat vehicles of the MLRS system.